Looking for that perfect novel to take on your mud season getaway, or something to take to the park during these first few warm days? We're happy to tell you that we've done all the reading so we can recommend great new books for you. We can't believe there are only ten more days until the mountain opens! Is it really already that time of year, when we start hearing the first holiday songs in stores, when we see the first holiday displays? If all the gift-giving overwhelms you, don't be afraid. Off the Beaten Path has a knowledgeable staff, and they're at-the-ready to help you make excellent selections for all the friends and family on your list! Early October is peak-leaf season in Steamboat, and if a book factors into your fall aesthetic, you need to come see what we've been reading lately. 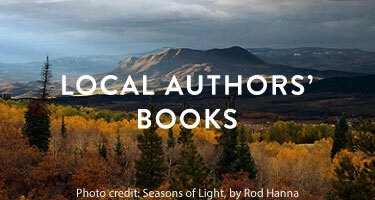 Everything from excellent picture books to Beat writers and more. Make that cup of apple-cinnamon tea, cozy up, and watch the leaves fall from behind the pages of one of these great reads. We're so glad we live in a world where there are Octobers. 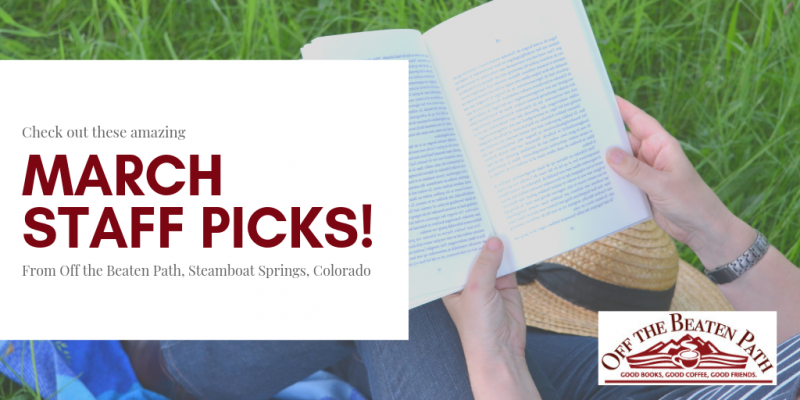 July Staff Picks to Enjoy this Summer!